Select your photo with a single click. 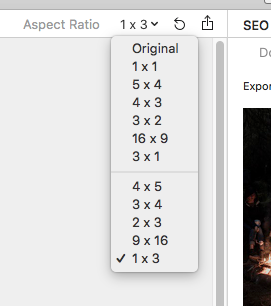 Open the Inspector tab in the right-hand panel, click on the Ratio dropdown and choose your preferred aspect ratio. If you want to revert your changes, click the Revert button (this will also revert crop).